Forget Nielsen. The company that matters when it comes to The Tonight Show Starring Jimmy Fallon is the one called RelishMIX. 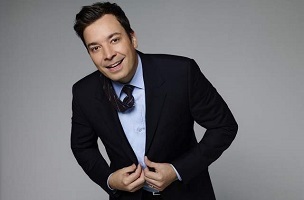 During his first month, Fallon generated more than 120 million YouTube views, Twitter mentions and Facebook posts, the research firm RelishMIX said. That’s more than double Kimmel, who had 57 million in the same social media metric. Letterman had 2.3 million. Bauder also has a great quote from NBC broadcast chairman Ted Harbert, who notes the “total absence of snarkiness, cynicism” on the program. Something else FishbowlNY has noticed is that like the vibe of classic Carson and even Merv Griffin, this Tonight Show feels less like a pitch/gab fest and more, simply, like Fallon hanging out with his showbiz friends.